You can’t go wrong with a hardwood floor. Easy to clean and maintain, among other benefits, putting a wood floor in your home instantly changes everything. It is a hard decision regarding what type of wood to buy. With so many species of hardwood to choose from, where do you begin? If you need help choosing the perfect hardwood floor, our flooring experts at Cameron the Sandman can help! The following are just a few types of wood that we carry. cherry-colored tint, cherry wood can also be a light beige, a neutral shade which gives more ideal decor colors. It has a fine, even texture with a moderate natural luster. Being moderately priced, this domestic wood is quite affordable, compared to others and is extremely durable and resistant to decay. Due to its work-ability, it is a common choice for flooring in a home. If cherry wood isn’t for you, then no need to worry. 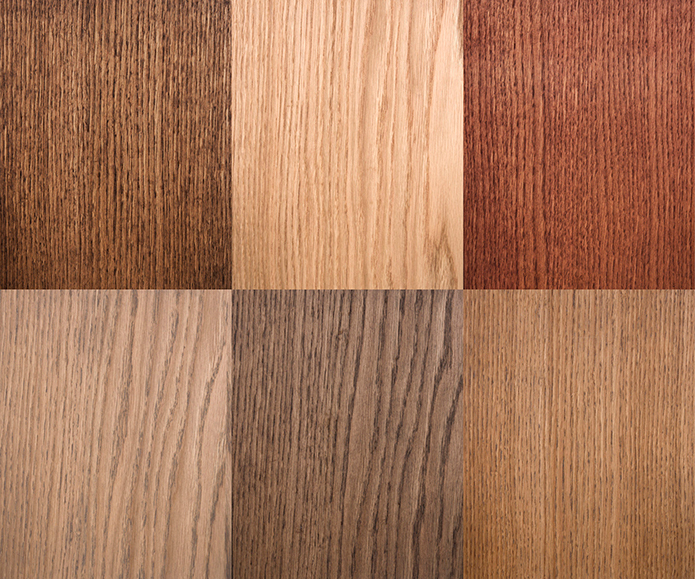 Just as there are many kinds of trees, there are many flooring options. black, which will provide a lovely contrast with pale furniture. If you prefer light floors with dark furniture, then our next option may be for you. This wood is not technically wood, but a hard grass. However, it is installed like wood and has the same appearance. It is priced at the same level of hardwood flooring and depending on the type of bamboo it can be extremely strong, durable and hard. Its style is trendy and sophisticated and has the look and feel of hardwood. If properly harvested and manufactured, it can be as durable as oak. Normal color range for bamboo is a light tan to medium brown, which will make darker furniture pop, or it will match light decorations. It does become discolored overtime as well as scratched, however it is easily refinished. Bamboo is best known to be ecologically friendly since it is made from a plant and is easy to maintain. No matter which of these floors you choose, we guarantee that it will make your home will look and feel instantly more beautiful. If you would like any of these wood verities, we can easily accommodate your preferences. Even if your ideal flooring is not on this list, there is still a good chance that it’s in our inventory. If you’re still unsure about what you want your flooring to be, one of our consultants will be happy to offer more recommendations. Cameron the Sandman offers new hardwood floor sales, refinishing, replacement and more. We work with EVERY species of wood – hardwood flooring, exotic hardwood flooring, oak, cherry, maple, mahogany, walnut, and bamboo – and in a host of styles and stains. Also, because there is a lot to know about a wood floor, you can count on our design professionals to educate you and help you select the perfect wood floor for your Metro Detroit home. Contact us at 248-477-8108 to learn more!